Franklin Graham Calls Out Planned Parenthood and George W. Bush's Daughter: Good News Friday today on WallBuilders Live! Lately, we have more good news than we have time to share, which is good news in itself! Tune in now to hear about just some of the good things that have been happening in our country recently. In this episode, we discuss things such as a win for our First Amendment right, why an Archbishop calls out a state representative, why Massachusetts changed their website to acknowledge religious beliefs, and so much more! Poland Has Risen Strong After World War II Because Of Their Christian Heritage: In today's episode David discusses what he learned from his trip to Poland and shared the stories he heard from heroes and survivors of World War II. Tune in now to hear how Poland is largely a Christian nation, stories from survivors of Auschwitz, and heroes who saved Jews from the terrors of World War II. Oklahoma Wesleyan University, A University Who Stands For Biblical Truth: In today's episode we talk with Dr. Everett Piper, president of Oklahoma Wesleyan University. This is a University where you can be confident it is going to teach truth and clarity to your young person going to college. Everett Piper and Oklahoma Wesleyan University is known for its boldness in standing for faith and truth. Tune in now to hear more! Religious Persecution Is Coming To An End, One More Win For Our First Amendment: Good News Friday today on WallBuilders Live! Lately, we have more good news than we've have time to share, which is good news in itself! Tune in now to hear about just some of the good things that have been happening in our country recently. In this episode, we discuss things such as, the truth about North Carolina's bathroom bill affecting their economy, the man who saved a cop's life, a win for stopping religion persecution, and so much more! Were Our Founding Fathers Religious And What Was Their Original Intent? Foundations of Freedom Thursday. Were Our Founding Fathers Religious And What Was Their Original Intent? It's Foundations of Freedom Thursday, a special day of the week where we get to answer questions from you, the listeners! Always answering from those constitutional and foundational principles! 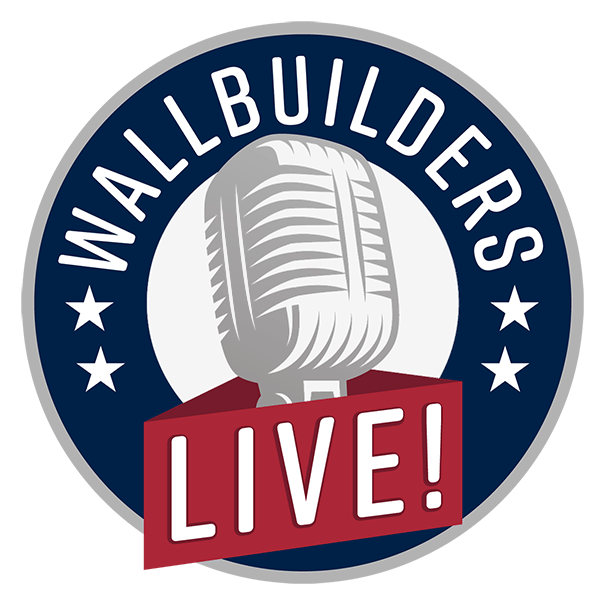 Tune in today as we answer your questions and so much more, right here on WallBuilders Live! New TV Show Highlights The Faith Of Popular Entertainers: On today's episode, we talk with Matt Faraci the host of "Frankly Faraci ," a new original series on Dove Channel featuring authentic, heartfelt, behind-the-scenes interviews with inspirational figures in entertainment, music, sports, business, and politics who are actively focused on doing good and bringing positivity into the culture. Neil Gorsuch, A Detailed Analysis Of This Supreme Court Nominee: On January 31, 2017, President Donald Trump announced his nomination of Judge Neil Gorsuch to the U.S. Supreme Court. Ken Klukowski is with us from First Liberty Institute discussing with us the effects that this decision will have and gives us a detailed analysis of Judge Neil Gorsuch.